Last November, I had organised afternoon tea at Al Samar Lounge with the girls (yes, because it was in the Entertainer, and yes, because it’s always gorgeous in the Madinat). The review never made it live on the blog. Though we had a fabulous time sitting in the terrace overlooking the Burj Al Arab, I was extremely disappointed with the overall service (and more). 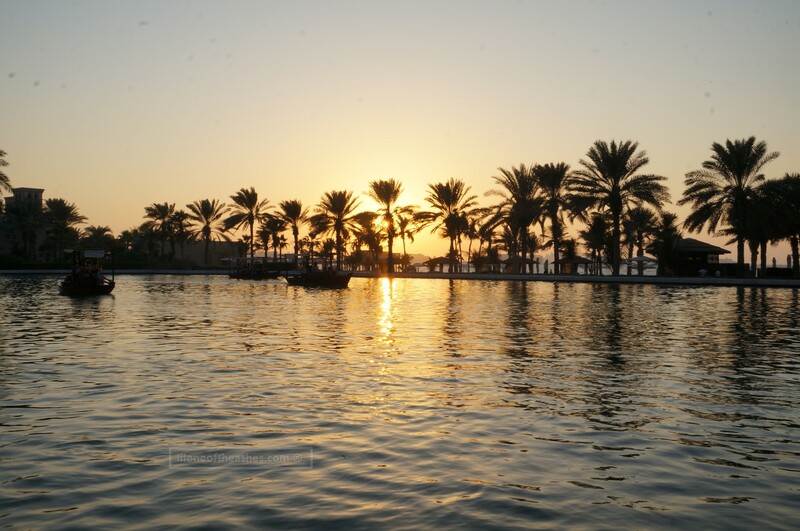 I ended up sending a thorough email to the Madinat pointing out our thoughts, and as Jumeirah does, they checked, got back to me – was very apologetic and offered to make up for it (I never took up the offer, but did appreciate the gesture). Fast-forward to a year now 🙂 I ended up choosing the same spot again because a) there was a complimentary afternoon tea for 2 in Al Samar Lounge in the Isme Elite App (yes, we splurged! ), b) you could use the Entertainer 241 for the other two guests and c) it’s always gorgeous in the Madinat :). Email reservation promptly flicked across, I popped over the day after to speak to the staff to choose the right spot for our gathering which would have been two weeks later. It had got to be perfect this time round. a) Food – A little different this time round, as it was October – so all food was pink-themed (for breast-cancer awareness). I (along with our guests) were very impressed with the effort the kitchen staff had put into putting these tiny little sandwiches and cakes together – all heart-shaped and pink. Look at that ham and cheese piece – an artwork by its own! Even a simple egg sandwich was wrapped in pink. They were as tasty as they looked, much different to a year ago, when it was more so for show than it was for taste. Mum reckoned the scones were better than the ones we had at The Lotus Lounge just as few weeks ago, and of all the home-made jams, the lemon curd was a winner for all. Ah, before I forget – for the big eaters, you can refill as much as you want, if you had gotten one afternoon tea set per person! b) Drinks – All other outlets doing afternoon tea should follow suit – that you can choose more than just one serving of tea or coffee. 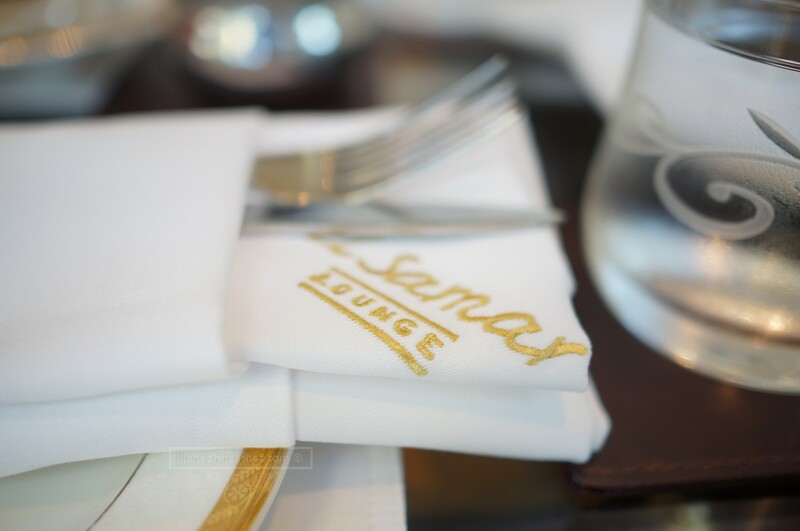 If you are planning to sit all afternoon have three – you can do that here in Al Samar Lounge. I went from Caramel Iced Latte, to Iced Cappucino, then got a bit adventurous and tried the Tanzanian Coffee (which was so strong) – passed it on to my guest who loved it, ha ha. c) Service – The staff were extremely courteous, friendly and polite to my guests and I (and the little girl) that afternoon. I suspect that they probably had records of my previous email and briefed the team well, ha ha 😉 That is completely fine by me 🙂 We had a wonderful afternoon and more importantly, my guests got to see a level of hospitality that I had expected from the Madinat outlets – which reminded me once again why we love living here in Dubai (and why I started blogging, four years ago 🙂 ) Thanks. Anything that could be better? Thinking. Can’t find anything this time round. I must had been overly critical a year ago, I really am glad that the team stepped up this time and improved so much – the food, the drinks, the service, just everything in general. When someone used to ask me,” How are the afternoon teas in Al Qasr/ Mina A’Salam? “, I used to tell them that it’s just ” Very pretty, but it’s not really that great ” – refer my previous review here for the one at Al Fayrooz Lounge as well. I think they did a good job in changing my opinion on that this time. Thanks to Ruby and the team for giving my guests a great impression of Dubai hospitality 😉 Oh, did I mention everyone who was there for the Pink October afternoon tea got a pink rose as well??? Hehe!